​Governor Martin O’Malley recently unveiled the State of Maryland’s new and improved official website, www.Maryland.gov, introducing the most user-friendly and engaging portal yet. The new Maryland.gov design is based on industry best practices, the latest web and mobile technologies, and focus group feedback gathered from across the state to incorporate the preferences and expectations Marylanders have for their state government website. Whether it’s identifying one of over 175 online services, engaging in social media, exploring maps or tuning in to alerts, Maryland.gov has been re-engineered to make your State government more available, more helpful, and more convenient. The new site design promotes citizen engagement through deep integration of context-driven social media feeds throughout the main sections of the site encouraging citizens, businesses, and visitors to engage with their government. Maryland.gov also uses data in new ways to better serve Marylanders. The Near You interactive mapping function plots government offices and state parks closest to the user, and also taps into the Motor Vehicle Administration (MVA) queue system to display current wait times at branch offices. The site’s development was led by Maryland’s Department of Information and Technology (DoIT) with its self-funded eGov partner, NIC Inc. Their research-driven design was informed by analyzing user searches and feedback, as well as local focus-group outreach conducted last August. Intensive collaboration between agency web, GIS, and public information offices was integral to the site’s development, which is expected to raise the bar for ongoing upgrades and improved accessibility for Maryland’s enterprise sites. The portal has been designed with a Mobile First approach using responsive design techniques to automatically scale the content to the browser, tablet or mobile device so citizens can engage with government anywhere and anytime. Design based on industry best practices, latest web and mobile technologies, and consumer feedback to obtain Marylanders’ preferences and expectations for their state government website. A new prominent search delivers results across the Maryland.gov enterprise of agencies, and can be targeted based on the user’s preference to include relevant online services, maps, and publications. Citizen engagement is promoted through a robustly integrated social media presence, geo-location services, top news streams and online services. 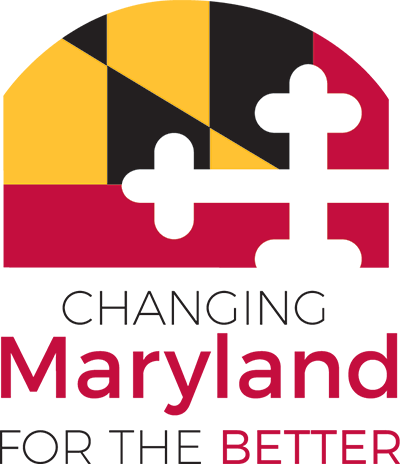 What’s New: Highlights the top news stories in Maryland and showcases time-relevant agency information and online services. Near You: Find government offices, MVA wait times, and state parks close to your location. Connect: Maryland’s extensive social media channels are heavily integrated throughout the portal to help visitors engage with their government. The ‘Connect’ tab on the home page summarizes the social media channels and links to a full Social Media Directory. Visitors can also find in-context Twitter and You Tube feeds within the main navigation menus and on each main inner page. Maryland Experience: Explore Maryland through local photography and curated experiences, stories, and events. Live Chat: Allows citizens that need assistance to have real-time online chat sessions with members of Maryland.gov’s technical support team. The second phase of the Maryland.gov redesign is expected to launch later this year and will feature additional content and feature enhancements.